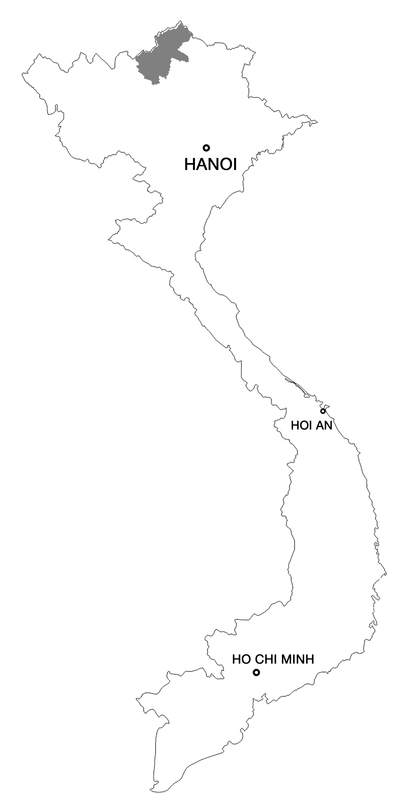 My first attempt to meet the Cờ Lao, in the vicinity of Hoàng Su Phì, was filled with adventure. As we drove with my friend towards the village, the locals laughed to see us advance on a path that, they warned us, would never take us to our destination. Determined, we decided to continue our quest, evolving on steep mountain paths, then through a waterfall, until the road came to a standstill! Here we are, stuck on a road, on a 30-degree slope, just 1.20 meters wide, a storm approaching, leaving me no choice but to turn back on myself, without letting go of the brakes in fear to see the bike hit the slope! Disappointed, we had to resolve to abandon this expedition. Later, I ended up meeting the Cờ Lao purely by chance when I went to Đồng Văn, which is in the northern highlands. Once again, the stony paths forced me to abandon the bike to finish on foot. I found this group to be friendly and passionate about its culture. I was lucky to meet the woman in this photo because as it turns out, she’s the only one left in the village with a full costume. 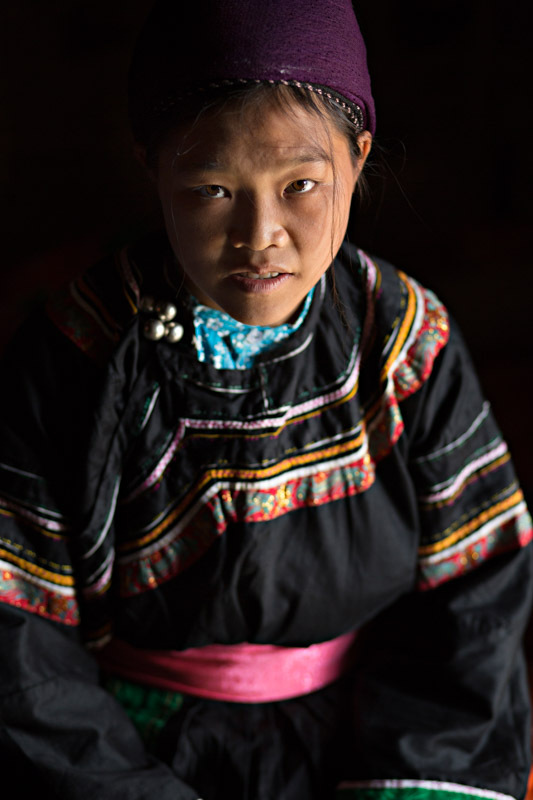 The Cờ Lao are settled in mountainous areas, and are in fact more isolated than most other ethnic groups.